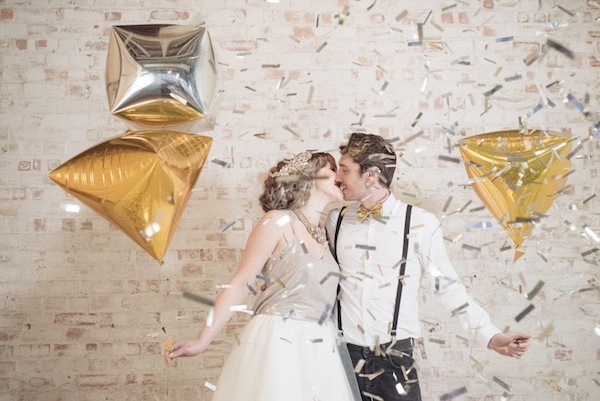 Earlier this year the splendid Laura Babb of Babb Photo asked me to work with her on a styled shoot combining our favourite things, metallics, geometric shapes and confetti cannons! 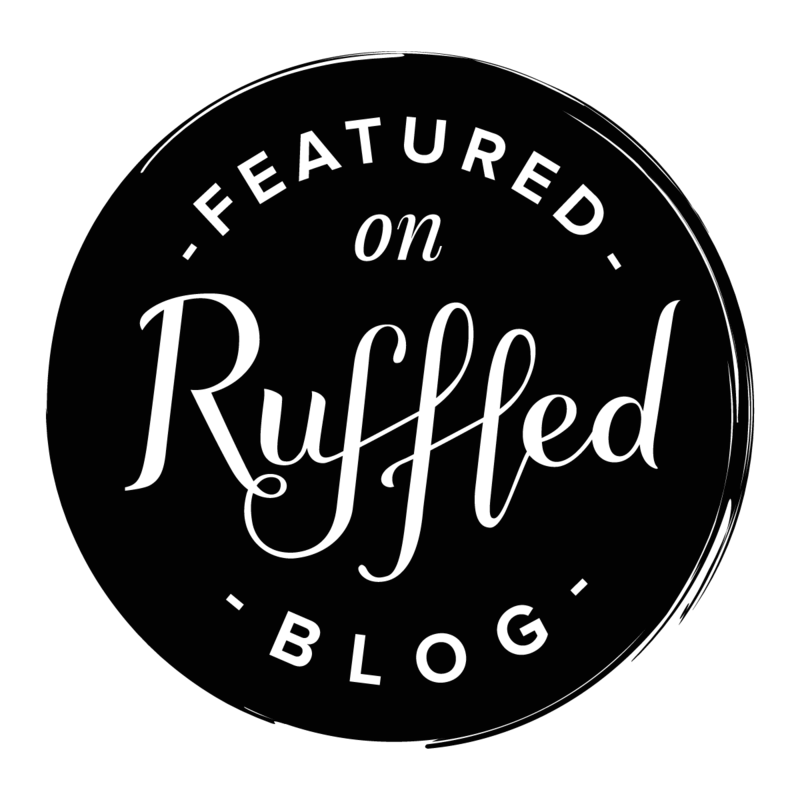 The shoot has been featured on Rock n Roll Bride but I wanted to take a closer look at the geometric wedding inspiration details today. 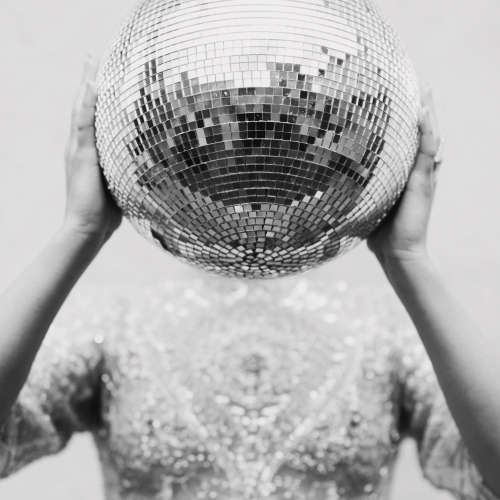 You won’t have a second chance to make that first impression about your wedding style. 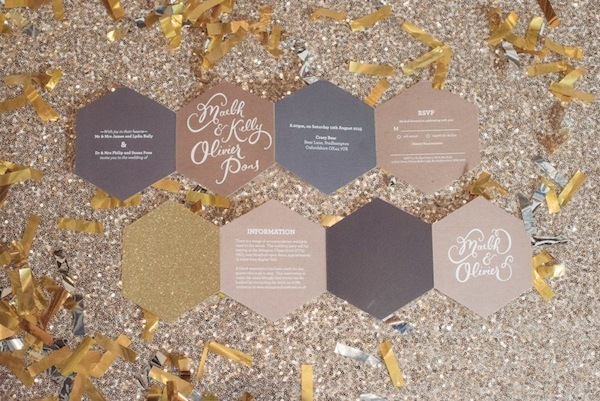 Think carefully about not only the wedding invitations but all the other stationery details such as menus, place cards, labels and so on. Top stationer Berin Made proves that you don’t need to be square! 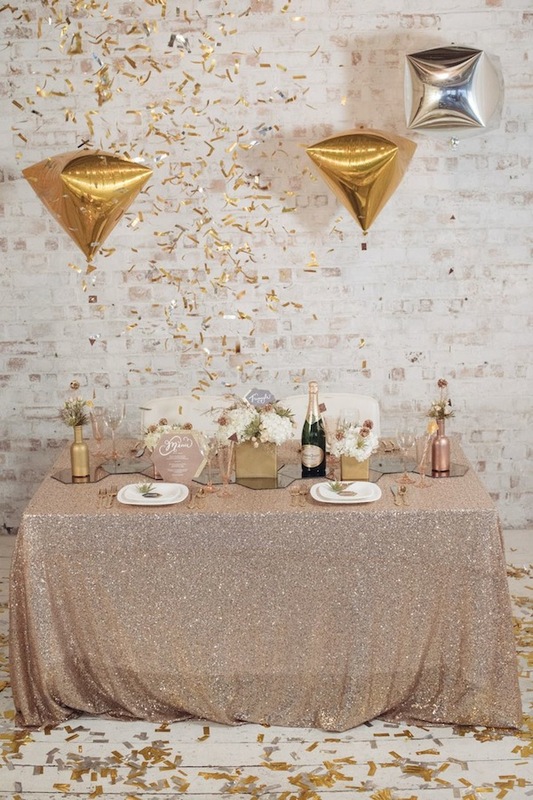 Moving onto the wedding breakfast, I’m obsessed with these heavy sequin tablecloths from Gilded Linens. 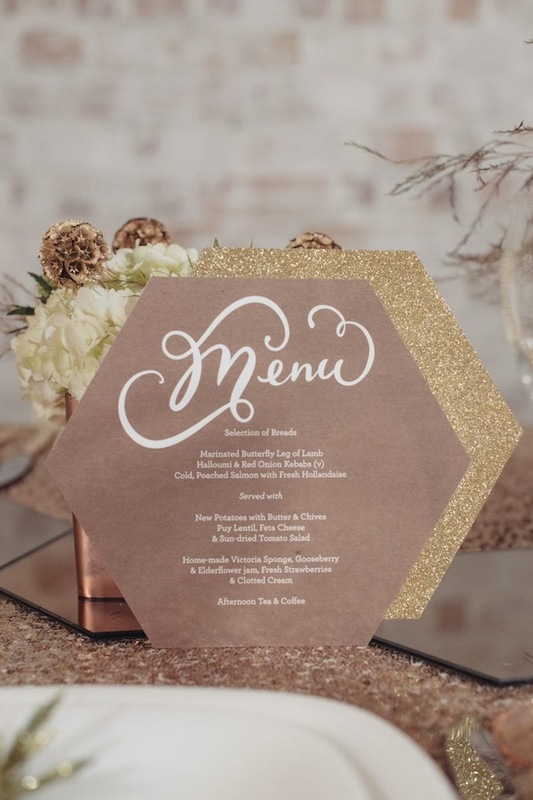 From this base I then layered up with mirror tiles to create a central runner before mixing up the metallic accents with copper, gold and silver sprayed jars and bottles for Fearless Florals glitter sprayed flowers. 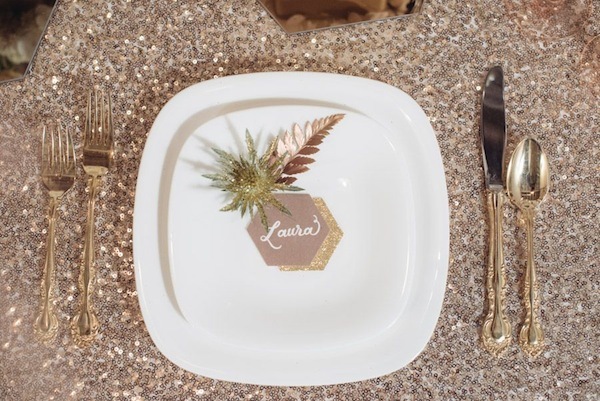 Consider every detail especially as you can now hire fabulous gold cutlery and more than your basic round white plates! 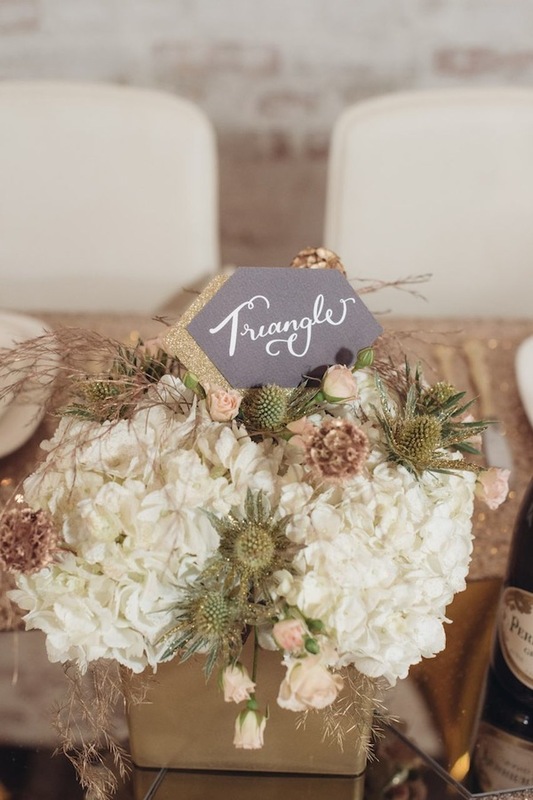 DIY yourself some geometric garlands by cutting shapes out of metallic card and sticking back to back over ribbon or string. 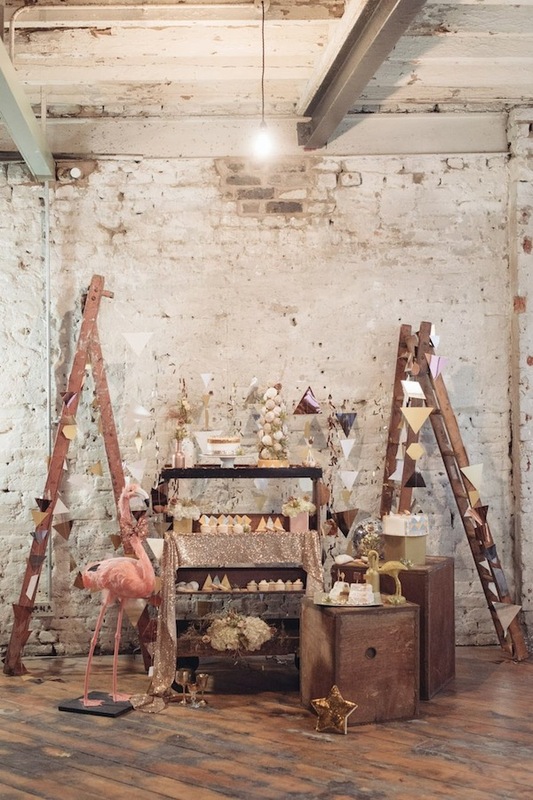 I used old wooden stepladders to string the garlands from which would make a handsome backdrop for a wedding ceremony. 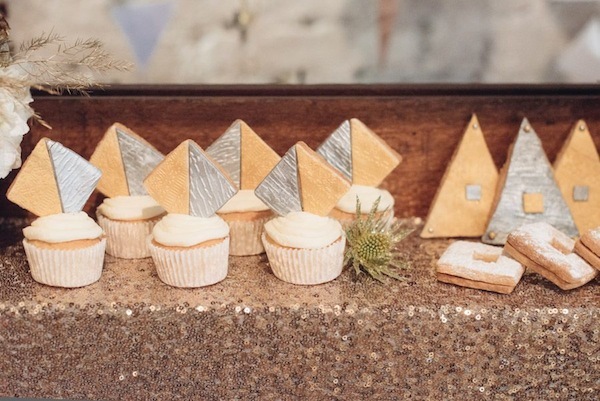 Here we’ve used them as the backdrop to a scrumptious dessert buffet that’s oh so inviting. French Made London is the Queen of quirky dessert buffet ideas from biscuits to macarons, yum. 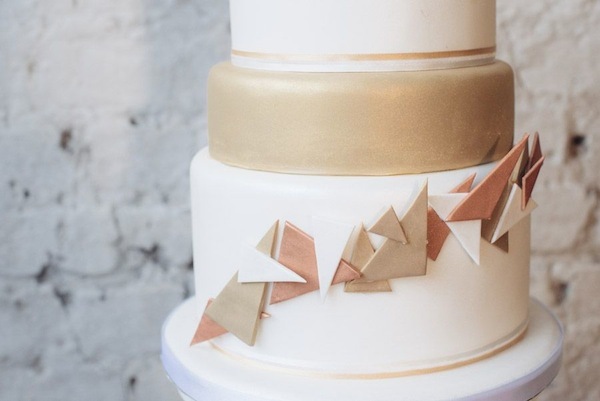 Picking a star baker is the first step in designing an unique geometric wedding cake. 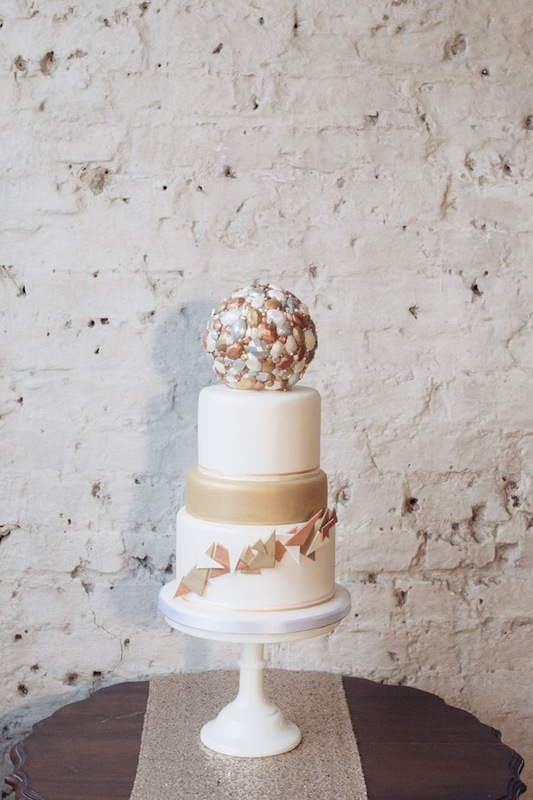 Creative duo Posh Pud played with shapes and made an amazing top spherical tier covered in mixed metallic iced shapes. 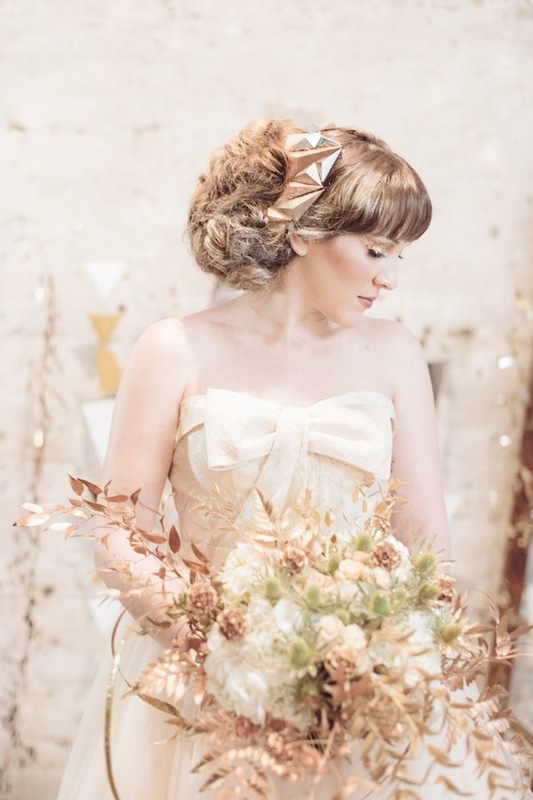 Finally think outside the box when it comes to those all important bridal accessories. I loved the shapes and metals in this necklace and thought it would work better as a stylish headpiece. 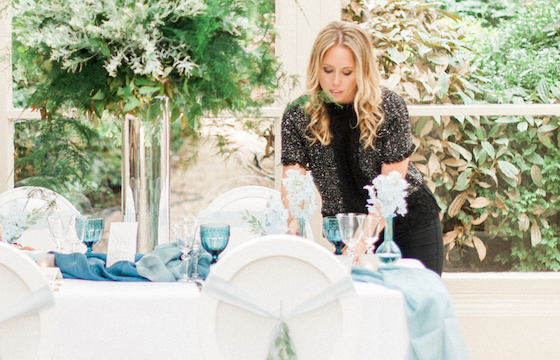 See more from this styled shoot over on Rock n Roll Bride – here.